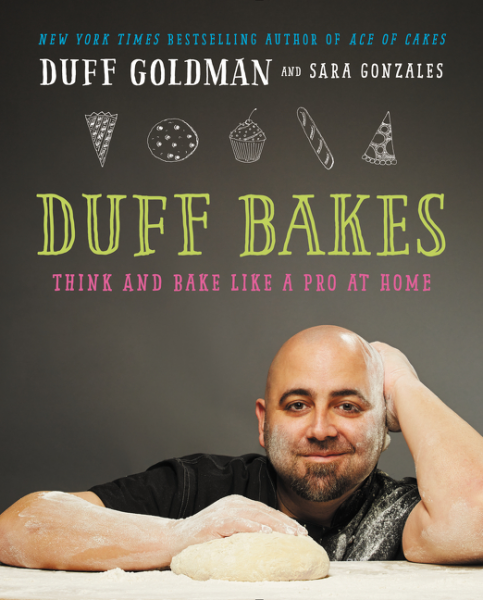 Bakers will love Duff Bakes, a new cookbook from Duff Goldman, the New York Times bestselling star of Food Network’s hit series Ace of Cakes and owner of Charm City Cakes and Duff’s Cake Mix. 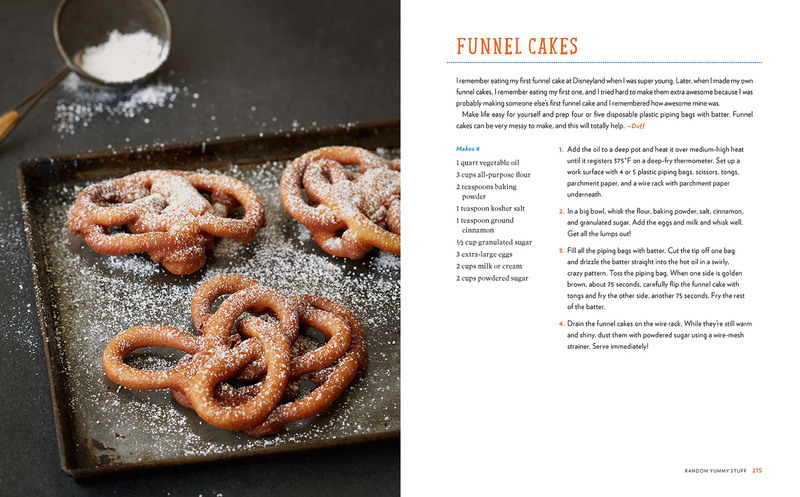 Duff Bakes, on sale November 3, is full of mouth watering recipes from classic desserts to more outside the box treats, all using fundamental baking skills. 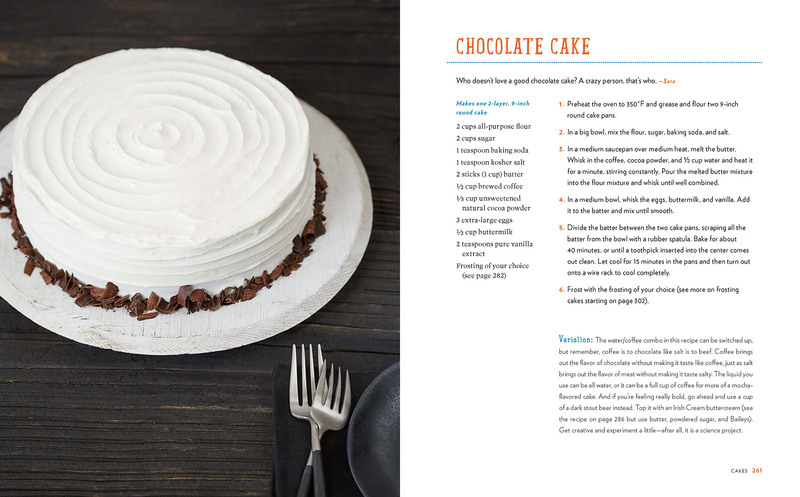 In this cookbook, Duff Goldman truly gives home bakers the down-to-earth essentials they need for creating mouthwatering favorites. Inside you’ll find the perfect muffin recipe to eat straight while waiting for your morning bus, an easy pizza dough recipe for a quick weeknight dinner, and cookie recipes for every occasion. Filled with Duff’s engaging earthiness and hilarious personality, Duff Bakes includes chapters on different types of pastry dough, a variety of cookies, brownies, muffins, bread, biscuits, pies, cakes and cake decorating, gluten-free and vegan desserts, and much more. Duff Bakes will help both novices and seasoned bakers master the best, most delicious home baked goods, build on their baking successes, hone their skills, and understand the science behind the fundamentals of baking. 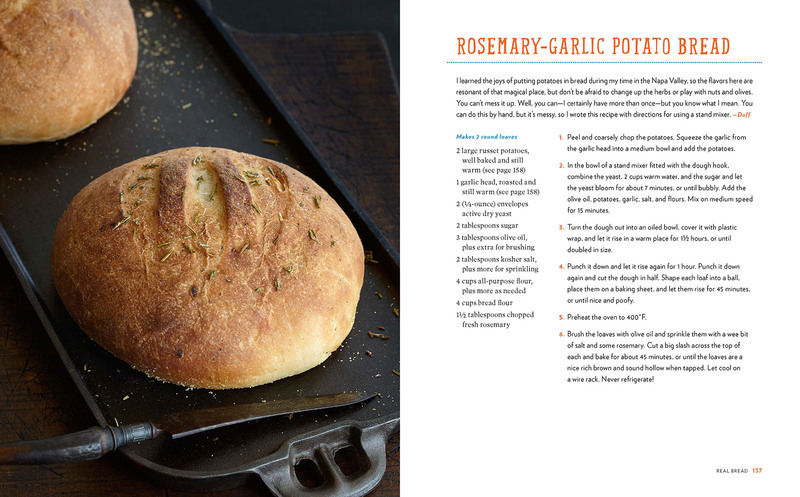 Today we’re sharing some spreads for the book. 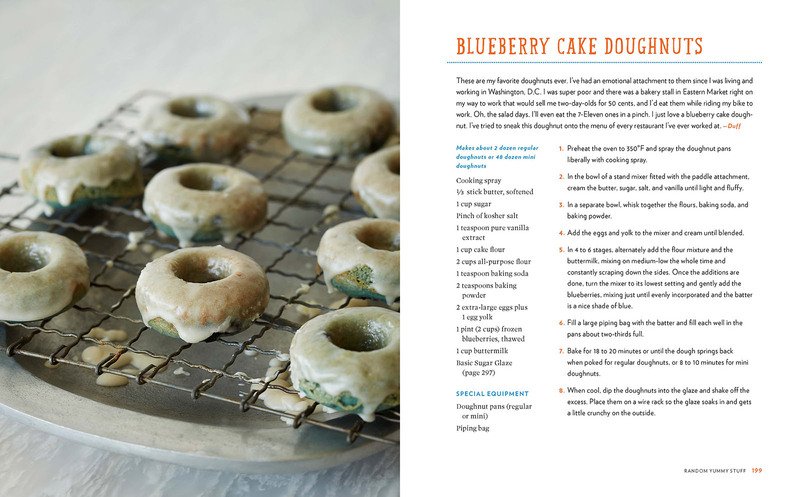 Take a look at the beautiful pages below and pre-order your copy of Duff Bakes from your favorite retailer. Tried your recipe for “Elvis Cookies”. The outcome was not great! Three bananas was way too much, made the dough too wet. The pretzels should not be smashed into “crumbs”, the picture shows them much larger. Chopping the bacon to the fine stage makes them disappear in the dough and leaves little taste, larger would be better. Also why not let the dough sit over night in the fridge instead of putting each tray in for 10 minutes. A big pinch of baking powder needs to be defined by teaspoon measure. Somewhat disappointed as these were sort of expensive to make.